In 2018 Callum was one of the Five Man team who won the BAFA National Plate in Manchester. That result effectively place them in 8th place in the UK rankings. 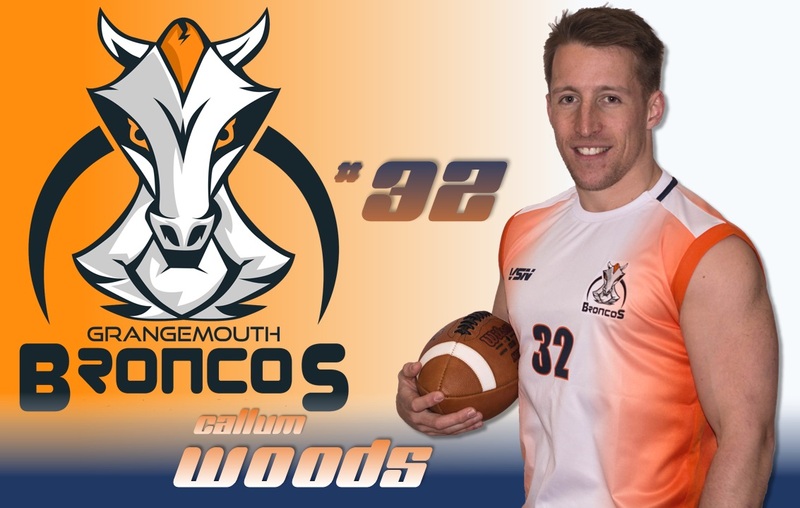 In 2018, Callum became the All Time Top points scorer for the Broncos. Asked if he is going to slow down, he said he was hoping to make the record unattainable. That can only mean more scores for the club. 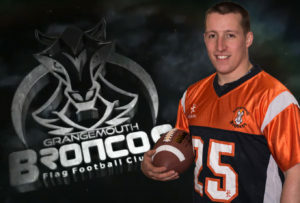 Callum started his Flag career in the Broncos Cadet team in 2005, moving on to Junior and Youth. In 2009 he had a brief fling with Senior Flag but went off to do other things. 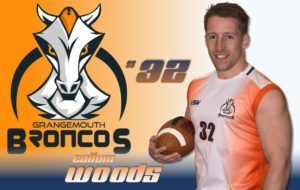 In 2016 Callum rejoined the Broncos Seniors and has been one of the most consistent players in the team, very quickly rising to the third highest all-time points scorer for the Seniors. In 2017 Callum was the Broncos top scorer in the league with 145 points and made the number five spot on the HNC Offensive Player of the Year rankings. This form earned him his first tournament appearance the Great Britain team at senior level, starting at Centre in the European Championships in Copenhagen. On 24th of June 2018 Callum became the All Time Points Scored leader for the Club Senior teams. Runners-Up in the 2007 SFFA Youth West/Central Conference. 3rd in the 2007 SFFA Youth League Finals. 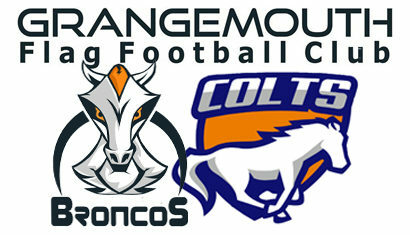 Scored 1 TD (interception returned) and a 1pt Conversion. Scored 5 TDs and had 2 interceptions (one returned for a TD). Scored 2 TDs and a 2pt Conversion. Winners of the 2005 SFFA Cadet North/East Conference League.